Seersucker Suit Perfect for tropical destination & summer weddings. Wedding Ties & Neckwear Ties in a rainbow of hues add a sublime splash of color. Wedding Vests Men's formal vests in matching colors. Pocket Squares Add a touch of class & color. Contact a Stylist Fit, color or delivery questions? NYC Showroom Book an appointment now. Sizing + Fit Size charts & How-to-Measure. FAQ Find your answers here. PANTONE WEDDING Learn more about it. PANTONE Color of the Year 2019 Living Coral, energizing coral hue. Shop PANTONE Browse PANTONE accessories. DIY Bridesmaid Cards PANTONE WEDDING colors. FREE. Wedding Showroom Collaborate on a look you all love. Bridesmaid Planner Collborate on a to-do list. Wedding Guides Planning, trends & traditions. Visit our Inspiration Gallery Inspiring Wedding Styleboards. Design an Inspiration Styleboard Capture your dream wedding. Our Blog All things Bridesmaid. Timeless style for your future black tie events. 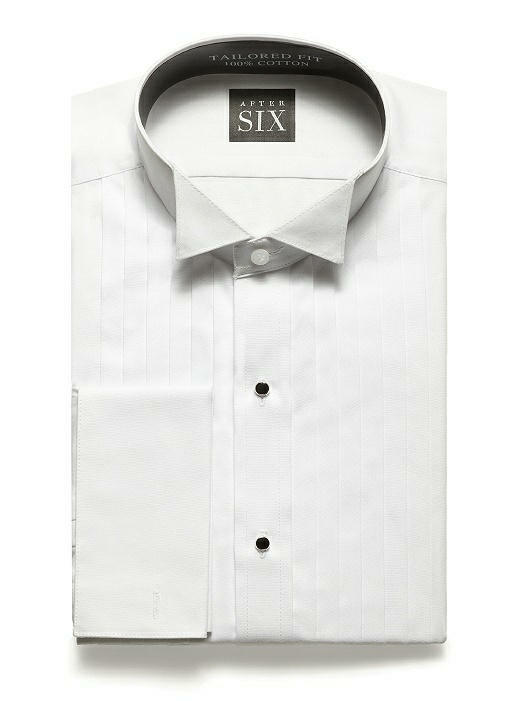 Choose from a classic wing collar pleated front or a modern laydown collar with plain or pleated front. Made from 100% super soft cotton featuring unbreakable, cross stitched buttons. 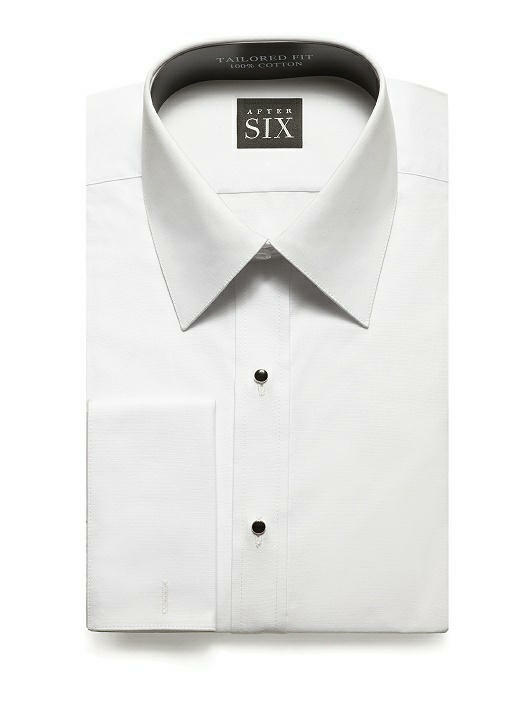 Available in a modern slim fit or classic regular fit with an adjustable sleeve length & comfort collar extender. 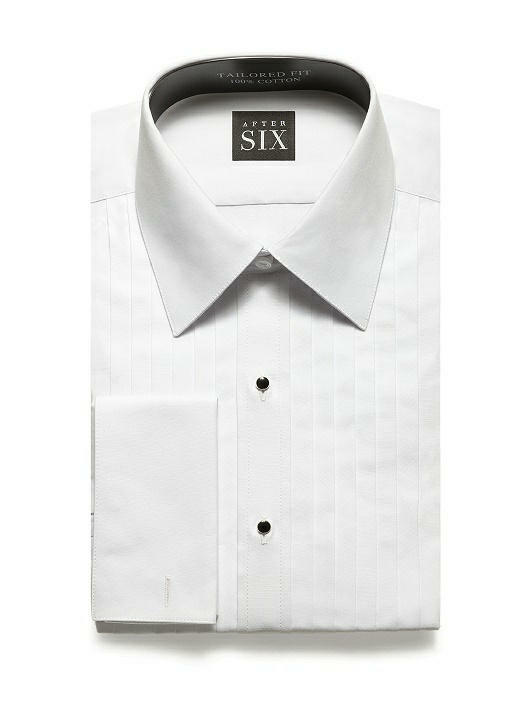 The crisp white tuxedo shirt provides the perfect base. Distinguished men know: Style counts, and all the details make the tux.